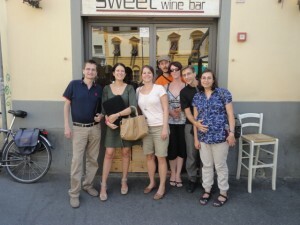 Last week I met up with six people in Florence who all work in SEO. I met Elena Farinelli, Stefano Romeo, Lourdes Flores, Niccolo Villiger, Katia Baroncelli and Andrea Cardelli. 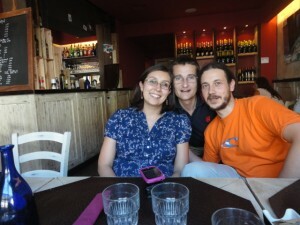 We went out to a fantastic restaurant in Florence and had a traditional Italian lunch. It was great to meet so many SEOs in one place, thanks to Elena for organising the lunch meeting with the other SEOs in Florence. How long have you all been in SEO? Niccolo and Katia own their own company, WebMarketingTeam.com and have been working in SEO since 1998 (they don’t remember exactly when they started, but they’re sure it was before SEO existed as the term used today). They’re specialised in Educational and Travel markets, and the owners of many travel websites about Italian and international destinations called “Abouts” http://www.aboutflorence.com. Stefano and Lourdes also have their own company called WebPromoter.com. Stefano began his career in SEO in 1999, although he initially studied to become a vet. The company specialises in web marketing services for businesses in the tourism sector and has created a network of online travel guides, the main one being http://www.DiscoverTuscany.com. The guide offers help in planning and organising travel itineraries and answering questions through their Forum. Andrea is the owner of Aperion.it and has been working with the web since 1996 and since 2005 in SEO, initially learning about SEO from Stefano. Andrea was not a fan of SEO in the beginning but is passionate about it now, although it is becoming harder with the Google updates. 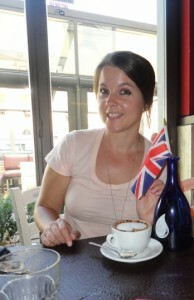 Elena started working in a web company in2000 and then moved into web marketing in 2004/2005. In 2006, she set up her own blog http://www.ioamofirenze.com/ (I Love Florence) which is updated nearly daily and is a freelance SEO consultant also teaching SEO and web marketing at various seminars throughout Italy. Have you been affected by the recent updates? Google Penguin and Google + Local? Some of the team in Florence have been affected by the updates from Google. One of WebPromoter’s sites, TuscanyAccommodation.com suffered. Tourism is a very competitive industry and for this particular site they pursued a more aggressive link building plan with keyword-rich anchor text; looking back, it might not have been very natural but at the time it was required to stay ahead of competitors and they did not think that links would get the site penalised. Now, we all know the wrath of Google and they have changed some of the links and anchor text used and are hoping that a new update will see their efforts rewarded. Florence SEORing. Katia has sent the tool to their Spanish partners and know they are also making good use of it. The team in Florence also use two other tools, Majestic SEO and cognitiveSEO. What is the search market like in Italy? The Italian internal market it is not as competitive as in the UK or US and therefore it is easier to achieve great results if working in Italian. However, if you are competing in the English speaking tourism market, then it is very competitive. All the SEOs I interviewed work with clients in tourism and travel as Florence and Tuscany is a major tourist destination. It really depends on the client. Until as a recently as 5 years ago, access to the internet was limited. Many small, local business owners still do not fully comprehend how important the internet is for their business. Many do not have a website and those that at least have email, don’t know how to use it well. In such a setting, it can be difficult to explain to new clients the value of SEO. Those that work in sectors such as travel and tourism, plastic surgery, mortgage companies and language schools do understand SEO more than other sectors. However, there are still many restaurants and bars that do not have websites. They do not think they need one. One of the main problems with clients is that many do not use Google Analytics and even those who do don’t know how to read the data. This makes it really hard to convince clients that SEO/SEM is needed and effective. Do people understand PPC more than SEO? No, people do not understand PPC and they get confused between SEO and PPC. They do not realise you have to pay for PPC. Stefano, in particular, says that he finds some of the clients being very wary of the “pay” component of pay-per-click, afraid of spending too much. Tracking ROI is another issue, Stefano often has to work with websites that have not been built to allow an easy and complete tracking of conversions. What do you like most about SEO? The team in Florence likes the fact the SEO keeps changing which keeps you young and “on your toes” (as you constantly have to update your way of carrying out SEO). As long as they have access to a tracking system they can do the work and show clients the results. Stefano also likes that SEO is about sharing experiences, which is the perfect excuse to meet great people and talk about SEO over a good meal and drink good wine with others working in the field! And this is the reason why they usually meet and discuss about SEO in a sort of club they called “Seoring”(www.Seoring.it). What do you least like about SEO? It is getting more difficult to work in SEO and, at the same time, some clients still perceive SEO as a positioning tool. They want to pay a certain amount to be at position #1 but this does not work anymore. Some clients also do not realise they will have different ranking results if they are in signed or not (with Google’s account) or even know that local search results are different than what others see in another area. Many of the team I interviewed have local businesses as their clients. These clients know it is important to have a presence on the web, but sometimes they do not understand exactly how it works. Some of them think in terms of rankings and want to be on the first page in the SERPs without seeing the whole picture of web marketing or SEO efforts. Some clients do not have set KPIs at the beginning of a project. Working with a new client to SEO is a process. The clients have to understand and appreciate the work the SEOs in Florence do for them and once the trust has been established, they are happy for the SEOs to carry out work for them. Do you attend any search events in Italy? All the SEOs in Florence attend the Giorgio Tave conference. There is one every year in December, this year there are other conferences planned during the year, one on the 16th of June. There is a search event called Seo Web Marketing Experience created by Madri Internet Marketing. Both Madri and Giorgio are more like a community for SEOs. Many of the SEOs know one another from these events. There was also a conference called BeWizard in Rimini where Rand Fishkin and Avinash Kaushik spoke at. It was a good conference. Do you conduct search in Italian or English? Web Marketing Team works in many different markets and therefore work in Spanish, German, French, Portugues, Italian and other European languages as well as Russian, Chinese, Turkish, Japanese. WebPromoter works mostly in Italian and English which is harder in terms of competition but work in the accommodation sector means specifically targeting non-Italian speaking tourists. All of the SEOs I met use Google Analytics while some do manual positioning reports. WebPromoter in particular tries to use GA to focus the client’s attention on where their bookings are coming from, whether from organic search, keyword advertising, tourism sites, etc. In general, some clients still want to focus on rankings and therefore the reports reflect this, but they try not to focus on the rankings as the only parameter of their SEO project success. What link building do you do? WebPromoter, Web Marketing Team and Aperion have a number of tourism-related websites with unique content that are updated regularly. They build links through their own sites first as they can control the content and they know where the links are coming from. Then they look for other tourism-related websites in which they can insert their clients, focusing on those who seems to better in terms of ROI, and that possibly give the client a link. Web Marketing Team carry out a lot of consultancy for their clients. They offer link building as well but focus on specific topics and specific languages they look for real sites with good content to link back to their clients’ site. The Italian market will continue to grow. 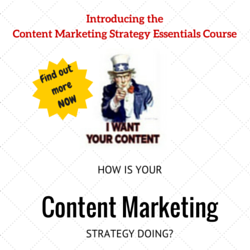 The future of SEO will be less focused on technical SEO but on creating great content. SEO will be more about the user and not the search engine which is why “black hat” will no longer work. Google Penguin was a strong warning to those who carry out black hat. Elena said that this year there were a lot of women in the classes where she teaches at. Women have good communication skills, they know some HTML code but they do not need to know about the technical elements of a site as much as previously. Great article. 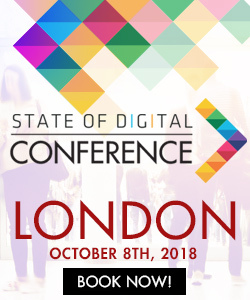 I look forward to the next SearchLondon! Thanks for the comment, look forward to seeing you on Tuesday. Thanks for coming last Tuesday to Search London. Hope you enjoyed it. 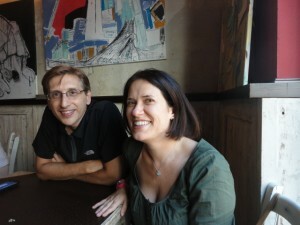 It was really great to meet you Jo and have a chance to talk about how SEO is in Florence.